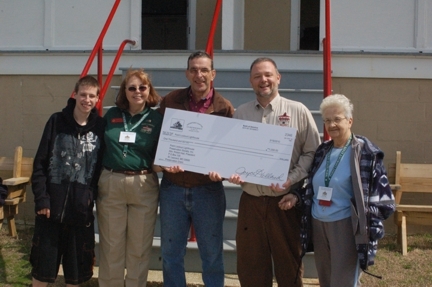 Preservation Grants – Chesapeake Chapter U.S.L.H.S. Chesapeake Chapter-USLHS (CCUSLHS), an autonomous Chapter of the United States Lighthouse Society, is a 501(C) (3) non-profit organization. Our membership from across the USA is composed of people who love lighthouses. Our activities focus around lighthouse preservation and education while enjoying the social camaraderie of people with similar lighthouse goals. We visit them, learn of their history and support their preservation projects. 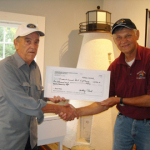 We raise money and donate to active lighthouse preservation/ restoration projects that meet our criteria of support. Our cash donation to any one lighthouse organization will not exceed $1,000 per fiscal year. 1. The applicant group must have non-profit tax exempt status. 2. The lighthouse must be in the greater Chesapeake Bay Region; Maryland, Virginia and Lower Delaware. 3. Is there an identified restoration/preservation project requiring funding? 4. Is there an active preservation/support group in charge of the project? 5. Is there an opportunity to fund a specific element of the project for which CCUSLHS can receive contributing recognition? 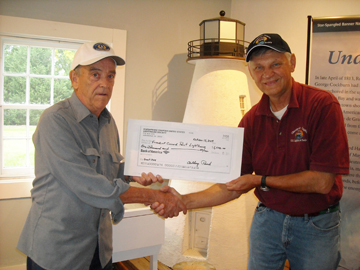 If you are a lighthouse preservation group and have a project(s) you feel meets our criteria we invite you to apply for one of our Preservation/ Restoration Grants. To do so, we have included a form for you to complete. In addition to the specific questions, please provide any additional information that you feel will support your request for one of our grants. All paperwork must be postmarked by January 10 of each year. The award will be announced no later than September 30 of the same year. 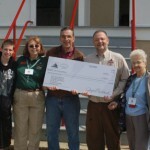 2012 Grant Award: Historical Place Preservation, Inc.